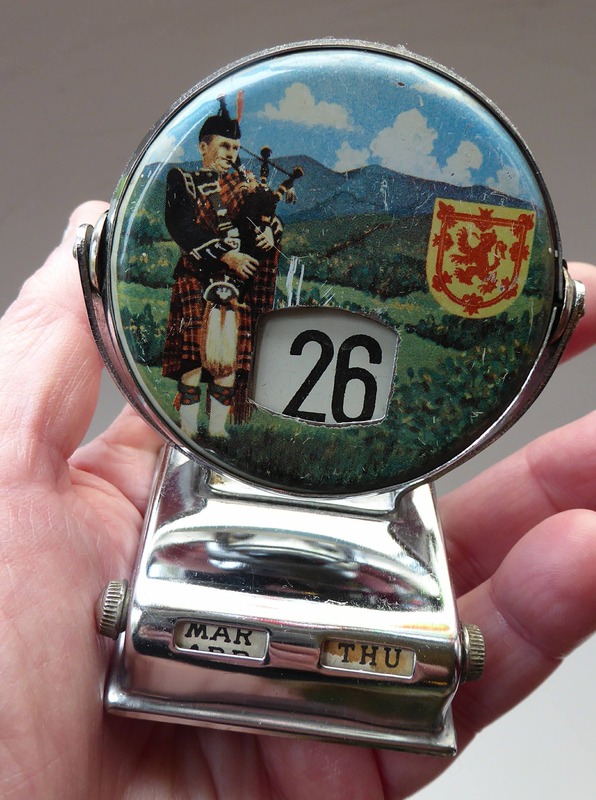 This is a collectable vintage desk top calendar. It dates to the 1960s and it was made in Japan by Daysun (there is the original Daysun paper label on the base). 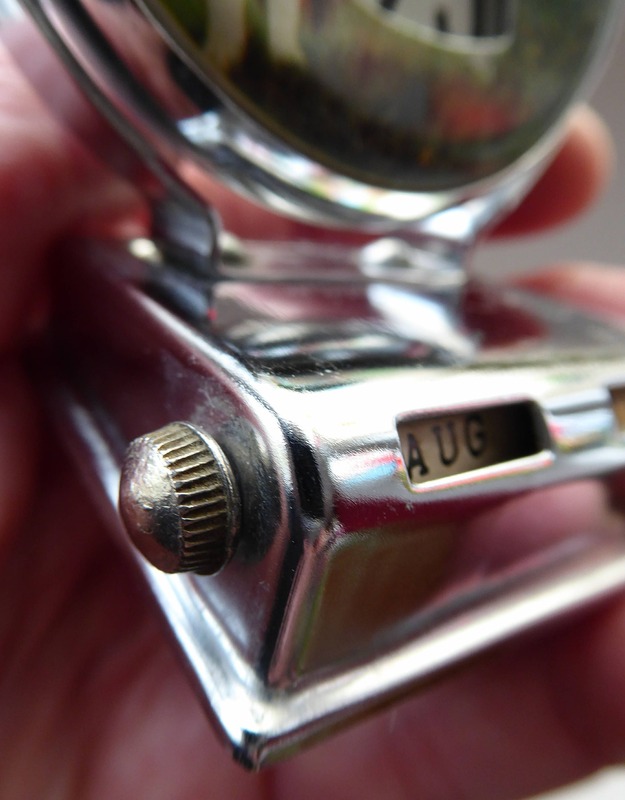 This is a perpetual desk calendar - which works on a flip over mechanism. 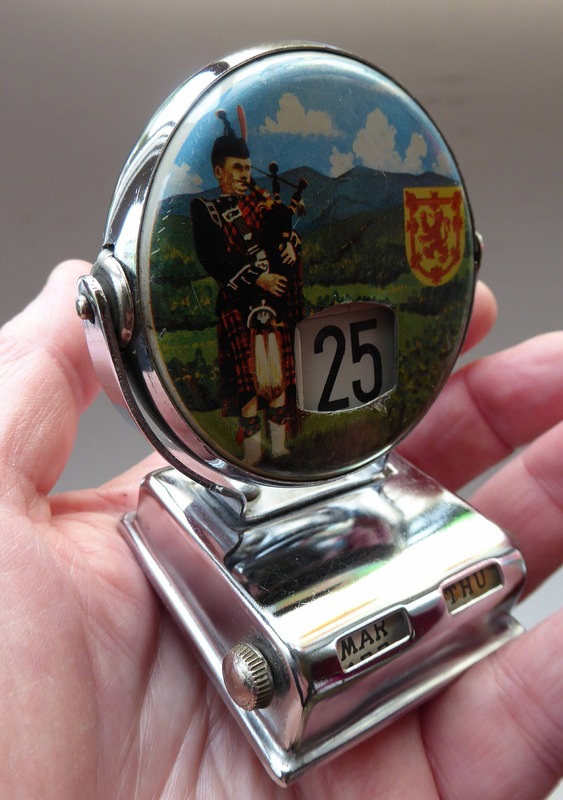 There are matching printed images of a Scottish piper on each side - the images are printed onto the metal. In the centre of the image is a date window - when you flip it over - the date changed. 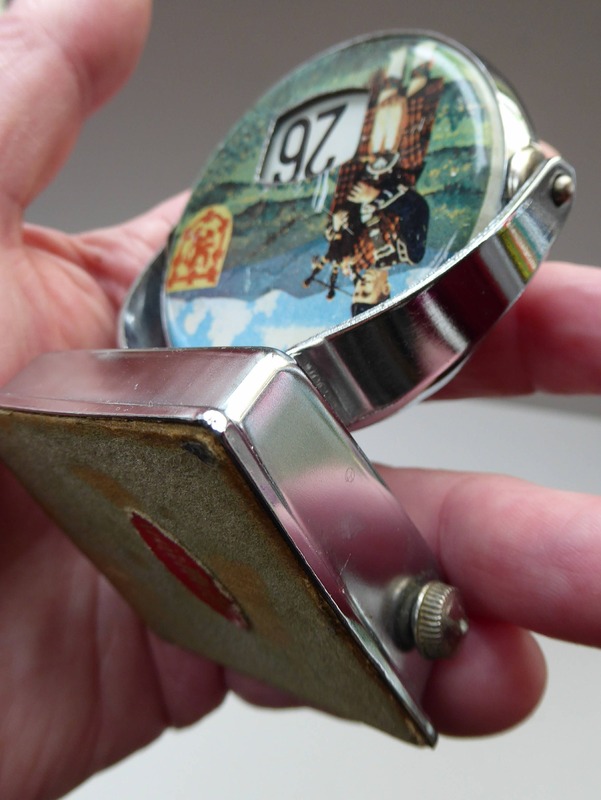 There are two little wheels to each side - these rotate the day and the month. The calendar is nice and clean and in good condition. (looks much more pronounced on my photos) - but nothing else to give concern. 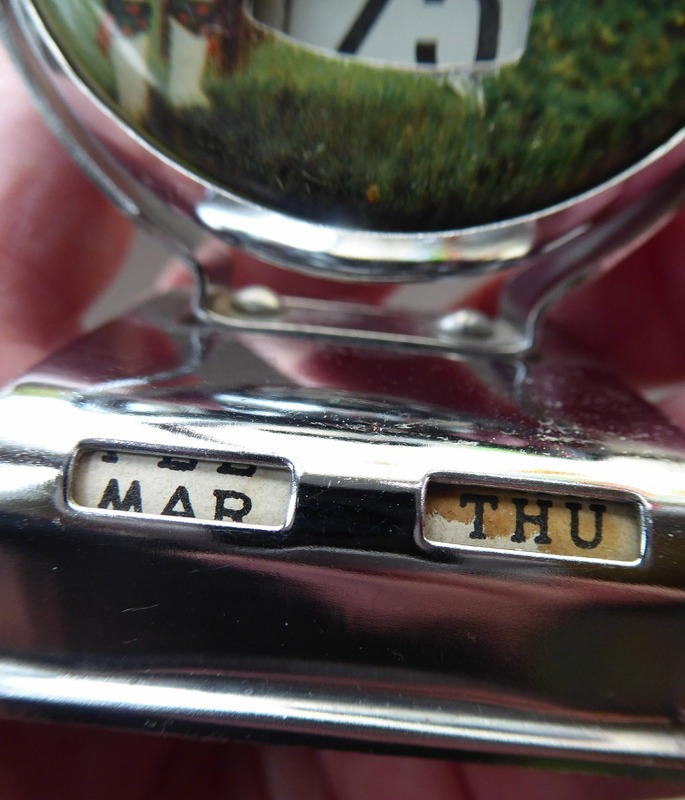 The little flip-over calendar measures 2 inches wide and is 3 inches tall - it had a depth of just under 2 inches. Not so many of these survive in such a nice condition - and this one is especially attractive with its Scottish iconography.